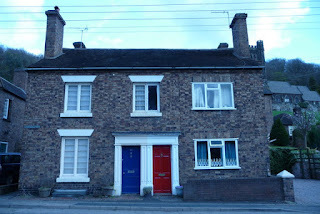 Here is all I knew about semi-detached houses: I live in one; they are a quintessentially British way to build a place to live; and they are less desirable than a detached house, but more than a terraced house or flat. The last of these made me wonder what kind of question semis are trying to solve, and why the answer means they make up about a third of all the housing stock in the UK. 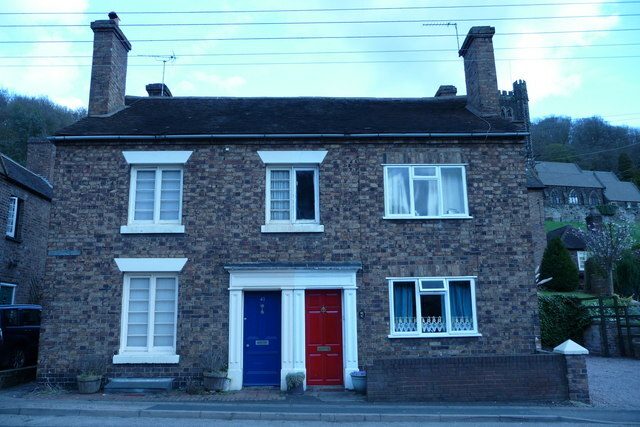 The desirability factor can be seen on the map of any town, from as early as the nineteenth century – semis became a compromise between the rows of terraces found in the centre, and the larger detached houses found on the outskirts, where land was cheaper. This distinction has been muddied due to the spread of new semi-filled suburbs and estates, and the houses themselves being built at a lower cost, or lower standard. This is where I lose the point on why we build semis. If you look at one of the most important early examples, the Grade II-listed 3-5 Porchester Terrace, London W2, it is designed to look like a substantial detached house, with a colonnade topped with Grecian urns masking the front doors placed on opposite sides. 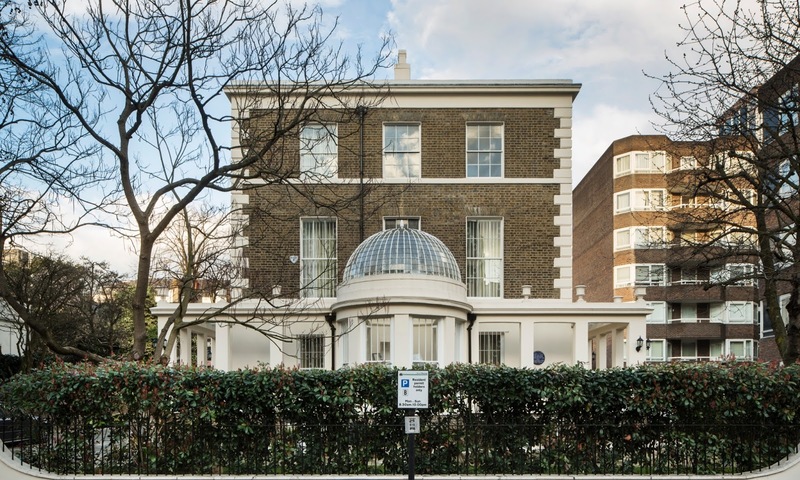 The designer, John Claudius Loudon, better known as a landscape gardener, wanted the houses to appear as one, giving a sense of dignity to both, rather than each simply being a mirror image of the other. The semi my mother grew up in, a simpler, more mass-produced post-war design, did keep the front doors on opposite sides, but this was already rare enough to look quite strange, and it annoys me to see how a later occupier has since moved its entrances around to the front, matching what others did to theirs in the same road. But, as extensions, white UPVC windows and loft windows have also been added through the road, the original look was lost long ago. Regardless of how they now look, semis most adequately fill the need to cost-effectively build a house where someone would actually want to live. 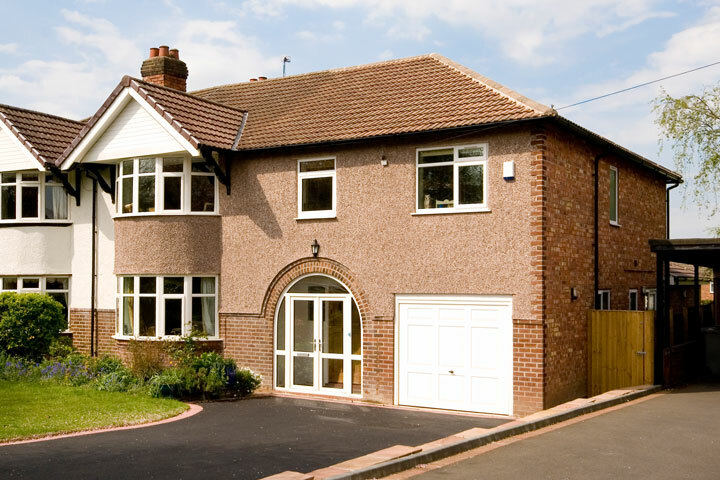 They came with a desire to make the area they were found better, giving rise to both front and back gardens, bringing running water inside the house, model towns like Port Sunlight and Bournville, the Garden Cities, cul-de-sacs, building societies, and the mortgage. The semi remains the British middle-class dream, even if you don’t want to think in those terms. …and yet, semis also exist in across Europe, Scandinavia, Australia, Canada and even the United States – what was their thinking? All I know is, when singing “Santa Baby,” Eartha Kitt (or, if you like, Kylie Minogue) wanted Santa to, “fill my stocking with a duplex and [cheques]” they could have set their sights a little higher than just a semi-detached house.